Enslaved African Americans on Wessyngton Plantation worked under a task system. The plantation owner assigned a task to each individual. 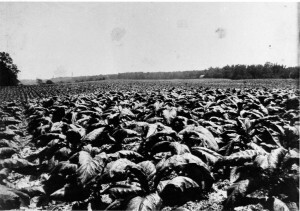 Once the task was completed the slave was free to work on his own crops of tobacco if he chose to do so. The owner usually assigned tasks that would take the entire day to complete. However, some of the fastest workers were able to complete the assigned tasks and work for themselves. The slaves were not required to work on Sunday and were off half days on Saturdays. Many of the slaves used this time to cultivate their own crops. 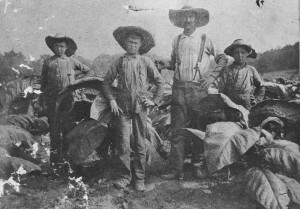 The task system required less supervision by overseers than gang labor and gave slaves more control of their time. 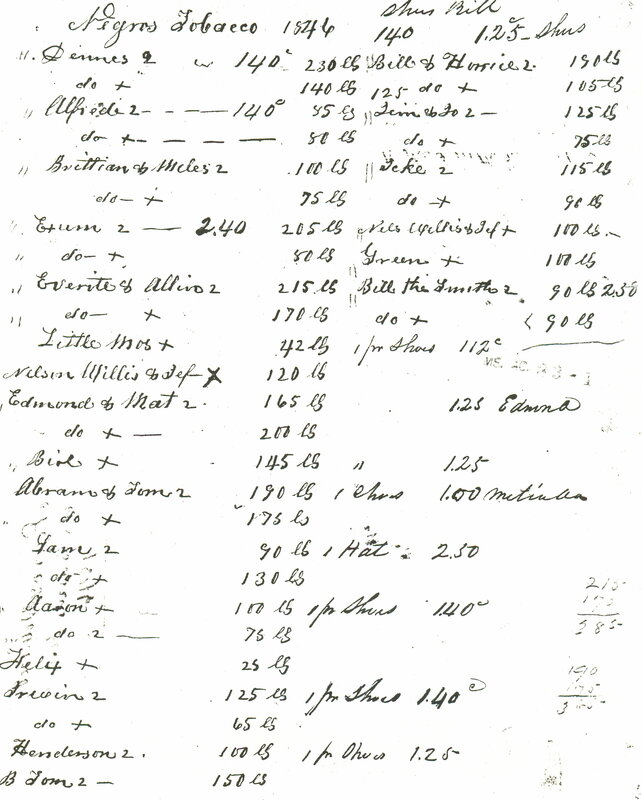 The owner kept a list of how much tobacco each person raised and paid them after the crops were sold in New Orleans. The slaves used the money from the sale of the crops to purchase various items not provided by the plantation owner. 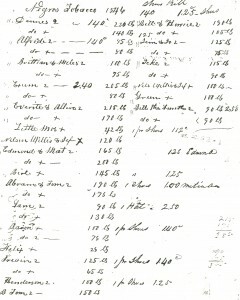 The document above lists the names of men on Wessyngton Plantation in 1846 who raised their own crops and the items they purchased for their families. Slaves toiled endlessly, clearing land, plowing fields, raising livestock, erecting buildings, and planting crops to transform frontier landscapes into lavish plantations. 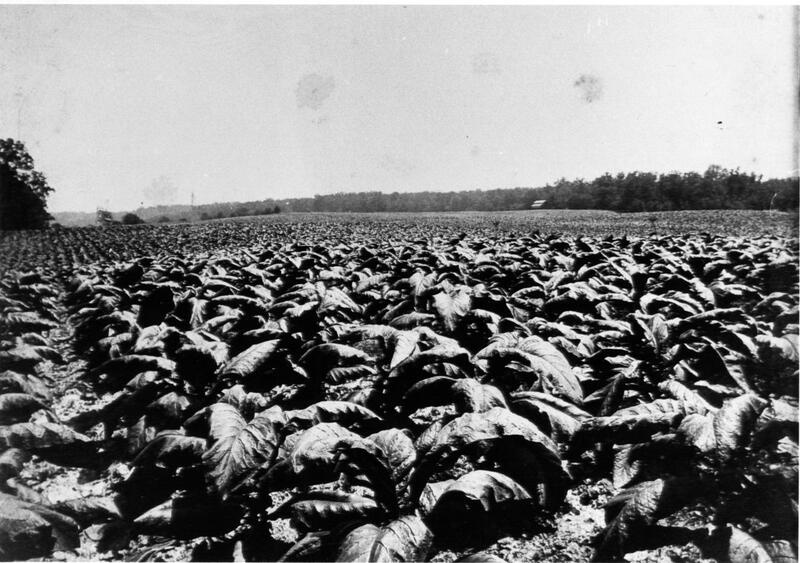 The enslaved population on Wessyngton Plantation primarily produced tobacco, which was very labor intensive. 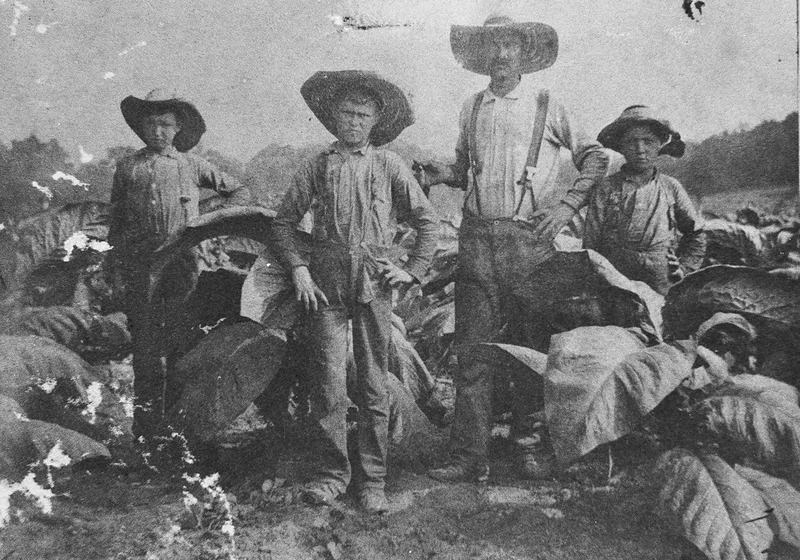 In 1860, 250,000 pounds of tobacco was produced on Wessyngton making it the largest producer of tobacco in the United States and the second largest in the world.